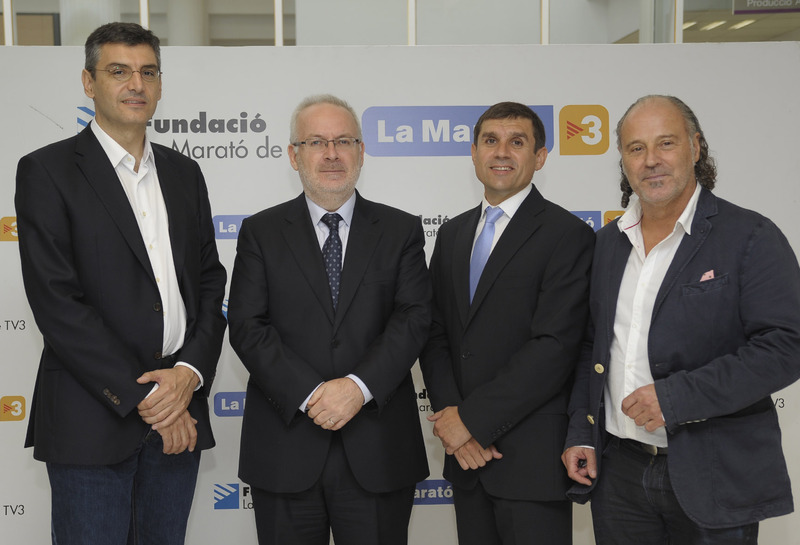 Dr. Bayes-Genis has been interviewed by El Nou newspaper to divulge the impact of cardiovascular diseases into society and to show what has been done up to now, specially these days close to La Marató de TV3. The interview appears on the cover page (cover_elnou) and you can read the full text in Catalan (interview_elnou). 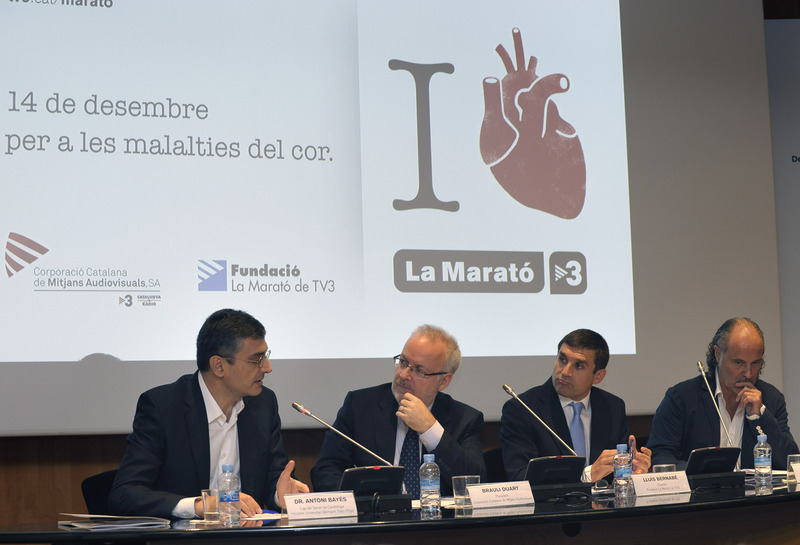 The annual campaign La Marató de TV3 to raise funds for research starts disclosure about the importance of cardiac diseases. what are heart diseases and which challenges is currently facing the cardiac research. Click here for an article in Catalan. Click here to watch the word-spreading video (in Catalan). Click here to read an article from La Vanguardia (in Catalan). iCor at the Catalan Society of Cardiology Congress. The XXVI Congress of the Catalan Society of Cardiology was held last 29th and 30th of May. iCor was present with 25 oral communications and 9 talks. What is more, 2 of the oral communications were awarded as “Best 2014 Communication” (see here) : FALSOS POSITIUS INEVITABLES EN LA SCAEST. DESCRIPCIÓ DEL PROBLEMA EN EL CODI IAM. by Carles Díez et al and DESENVOLUPAMENT D’UN NOU SCORE ASSISTIT PER BIOMARCADORS PER A LA PREDICCIÓ DE REMODELATGE REVERS A LA INSUFICIÈNCIA CARDÍACA: L’SCORE ST2-R2. by Josep Lupón et al, and 2 research grants were given (see here) : one from the Catalan Society of Cardiology (IMPLANTACIÓ DE MEMBRANES BIOCOMPATIBLES AMB CÈL.LULES PLURIPOTENCIALS INDUÏDES (iPSs) PORCINES EN EL MODEL D’INFART AGUT DE MIOCARDI PORCÍ. by Carolina Gàlvez-Montón et al) and another one from Philips (VALORACIÓ INTEGRAL DEL PACIENT AMB ESTENOSI AÒRTICA SEVERA ASIMPTOMÀTICA. FACTORS PREDICTORS D’ESDEVENIMENTS. by Elena Ferrer Sistach et al). Interview with Dr. Bayés on a local radio due to the Day of the Heart (Interview in Catalan). Dr. Bayés talks about the reductions in the health system budget, the current situation of the heart related health, the Code Infart programme, and the research in Catalonia, in a very interesting interview in La Xarxa. The interview ends with a review to the research done by the ICREC group at the iCor (Germans Trias i Pujol Hospital/Institute). El dilluns 1 de juliol el departament de Salut ha posat en marxa la segona fase de la campanya “Els segons compten”, centrada en l’infart en dones. Aquest són els vídeos on ha participat l’Hospital Germans Trias i la cap d’Hemodinàmica i Cardiologia Intervencionista de l’hospital, la Dra Josepa Mauri. 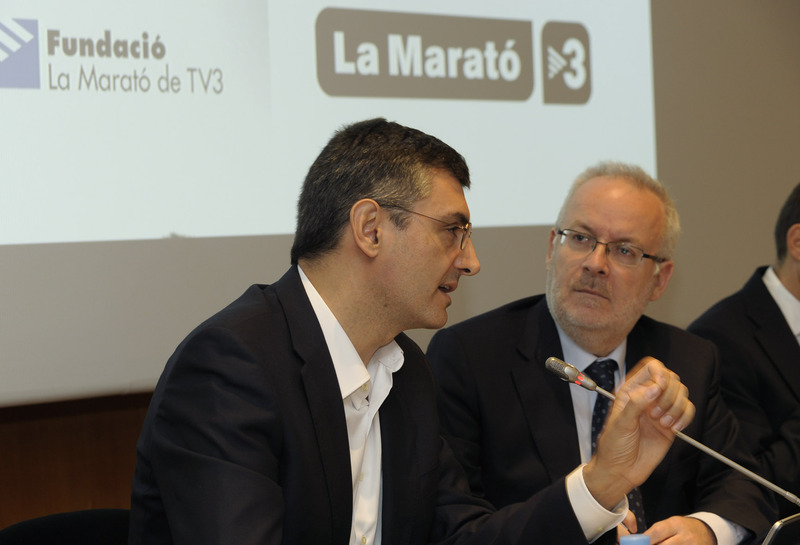 TV3 s’ha fet ressò d’aquesta campanya el mateix dia emetia aquesta noticia al [Telenotícies] i al 3/24, i l’endemà a Els Matins. També ha aparegut la notícia a La Vanguardia i El Periódico.